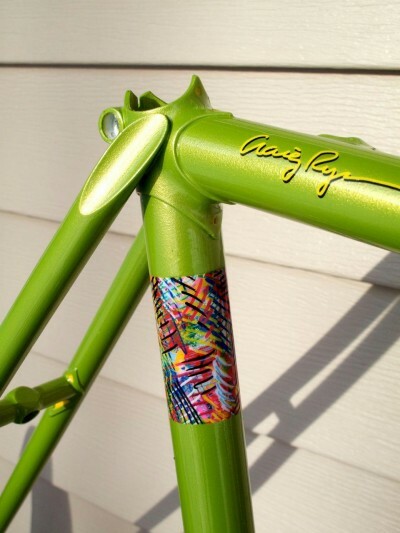 Gold Phantom Pearls over Green by bike builder Craig Ryan on his Custom Bicycle. Hi, just wanted to let you know I’ve enjoyed using your Phantom Pearls on my bicycle painting. This is a green I mixed up using ppg dbu. I shot your gold pearl in dbu 500 clear over it with a mask to get my model name. I like the results, but realize I need to experiment since it’s hard to predict how it will look using pearl on custom bicycles. 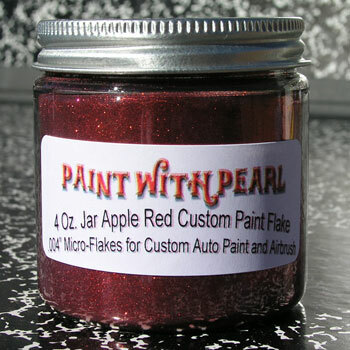 I’m going to try a deep burgundy red with gold ghost pearl over it next.